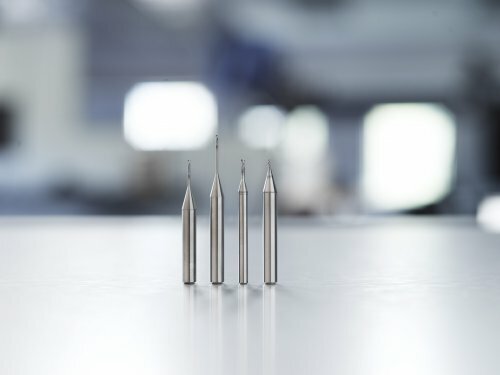 Jabro®-Mini JM500 end mills come in DMM 4mm and DMM 6mm shank diameters, seven different overhang lengths from 2 to 20* DC, and in 0.2mm to 3mm flute diameters. With such a wide selection, users can separate part processing into stages and use the shortest-possible tool overhangs at each stage to minimize the risk of tool deflection, potentially saving up to 50 percent of machining time and increasing feed rates. For more information on the Jabro®-Mini JM500 line, please contact a local Seco representative or visit our Jabro®-Mini JM500 product page.